Were you also thousands of miles away from the Susquehannock Trail Performance Rally and therefore unable to go? Thank goodness the internet is here to fulfill our need to see cars send it with a big jump megacut, then. I have had a transformative experience. I have just attended my first rally event. 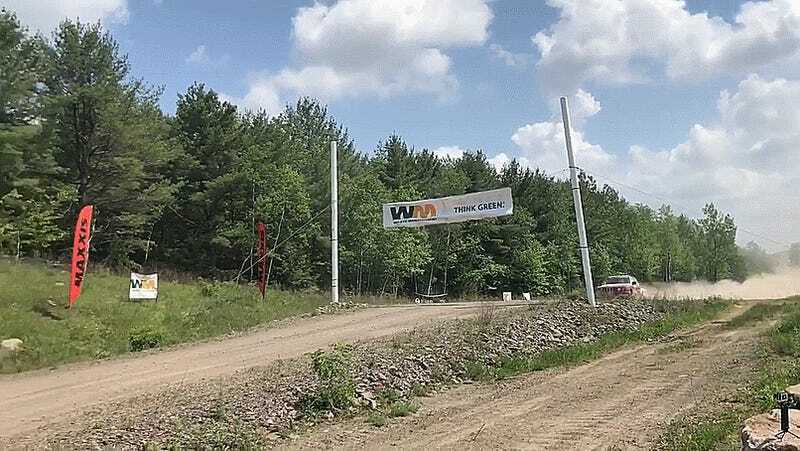 Short of actually being in the car, this view of STPR’s big Waste Management Jump looks like the perfect place to be. While the jump may be named after garbage as the rally takes place on Waste Management’s land, the amount of air some of these cars get is anything but. Some look like low-flying hovercrafts. Others bounce back up on landing. Anyone who keeps their foot in it puts on a good show. I especially love seeing all of the older cars still catching air after all these years, and appreciate anyone who thinks to honk as they fly over. The variety of cars—including everything from old Escorts to a New Beetle and an RX-7—is fantastic. If any one car is the Sultan of Send, however, it has to be the little Ford Fiesta at around 7:25 in the video. Loose hatch? Ain’t care! Did I Mention There Were Two 944s, Too?